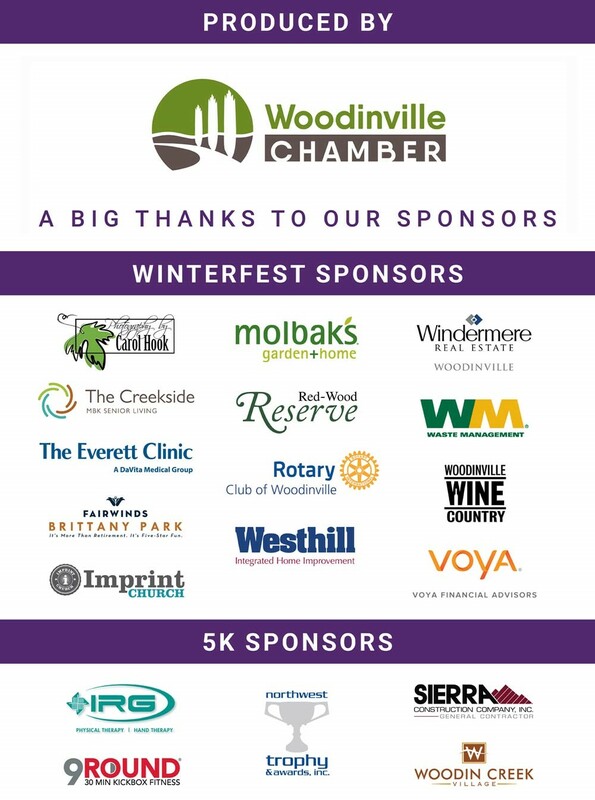 Join the Woodinville community for local bites from The Pizza Coop & Ale House, Zoup and Daddy’s Donuts. 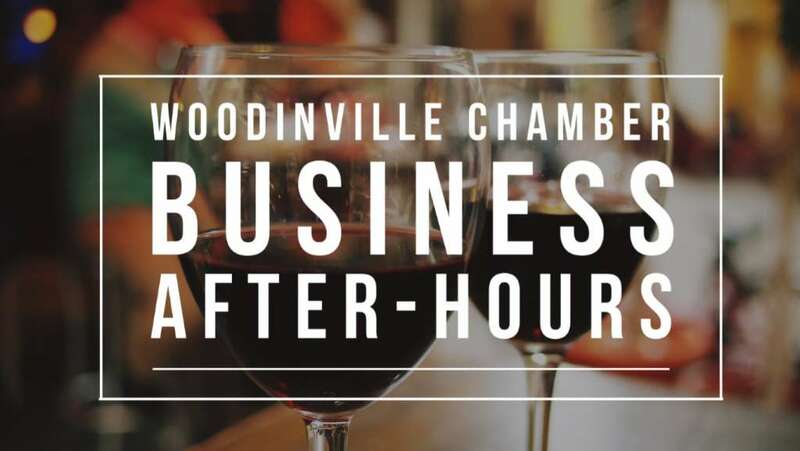 Come thirsty – beverages for the 21+ crowd from Triplehorn Brewing, Dirty Bucket Brewing Company, Warr-King Wines and Belle & Bottle Wine Club. We’ll also have UrbanUs Coffee, hot cocoa, and more for the kiddos to partake in too! 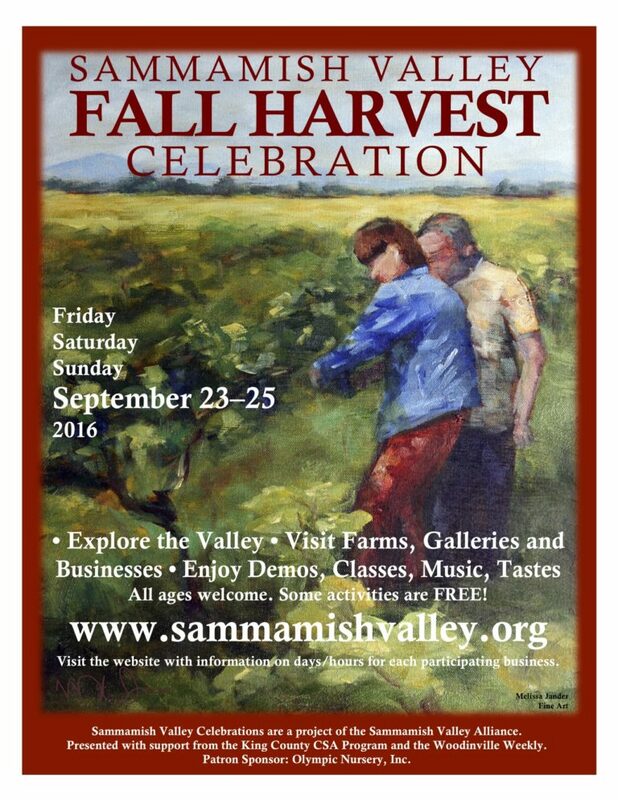 Lots of fun in store with activities from the Sammamish Valley Alliance and the Woodinville Farmer’s Market and our supportive sponsors! 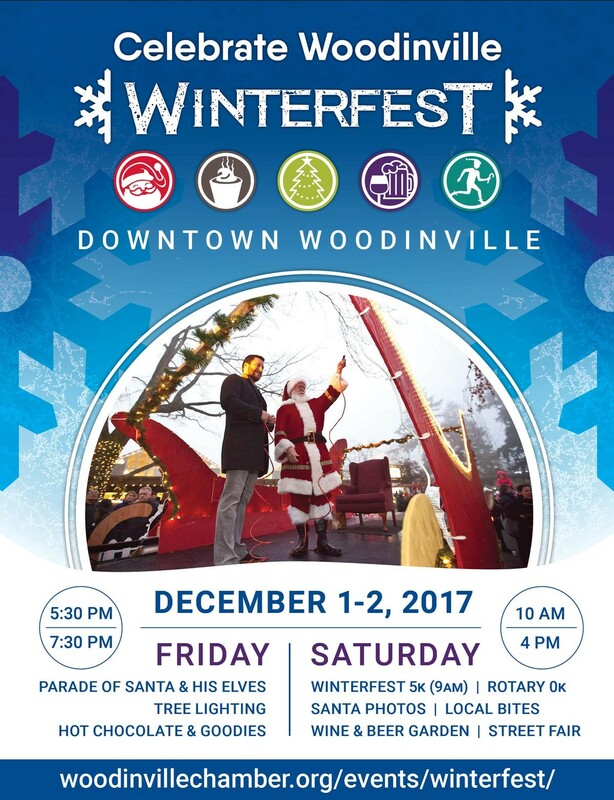 We’ll see you December 2nd for the Winterfest Street Fair – a full day of holiday fun!